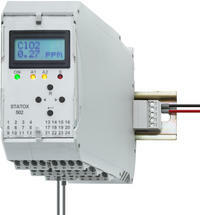 The Statox 502 control module can supply any type of sensor head and process its signal. It has a 4 – 20 mA output signal as well as 3 high rated relays to control peripheral alarm devices or actors. The control module can process 4 – 20 mA source or sink signals as well as, Wheatstone bridge signals from catalytic or other sensors. There is nearly no limit with regards to sensor selection: The supply voltage is adjustable in small steps within 2 to 5.2 V. If the sensor heads are located far away from the control room, or if strong temperature differences are likely to occur, two “sense” – leads can exactly control the voltage on site. Measuring ranges are programmable to ppb, ppm, % LEL or % vol. In an intuitive menu you select the appropriate program by pushbutton. The control module is just clipped onto a power rail. The 24 V DC power supply must only be connected to the firs module in a row or directly to the bus on this rail. Also the alarm signals run on this rail. Therefore the control module can be programed to operate as a common alarm module. All contact terminals are accessible from the front side. They are located in six pluggable blocks. In case you need to remove one module in a row, you can do this without any impact on the other modules and without nipping off the cables. You want a gas detection system requiring as little as possible maintenance. No matter if you need to set the parameters during the start – up, or perform a calibration or a proof test. All procedures must be easy. Therefore the menu structure is so self - explaining and clear. Even if the work must be interrupted for any reason, the “reset” button always brings you back into the measuring mode. If you forget to exit, the watchdog function will do this for you after a while. The Control module Statox 502 complies with DIN EN 61508 and 61511 for functional safety level SIL 2. Connected to sensor heads of the Statox 505 family or Statox 501 ARE and HRC sensor heads for combustible gases, you can form a SIL 2 gas detection system without investing into an expensive control center. The measured gas and the measuring range configuration can be easily done by the user. 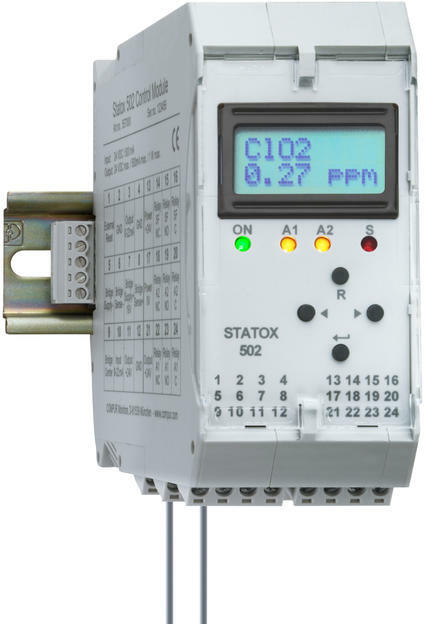 The Statox 502 control module can also be used as a common alarm module. It then shows if one of the modules is in alarm 1, 2 or system failure mode. 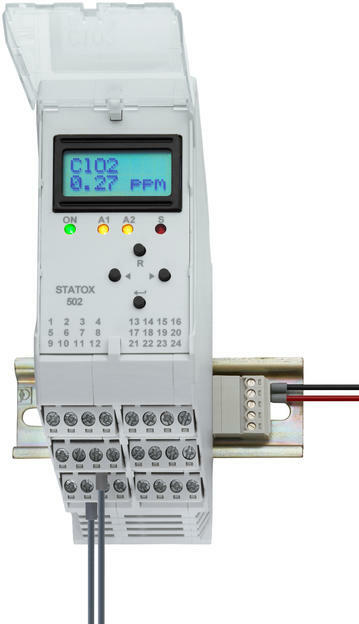 The Statox 502 control module is so flexible, that you may also want to use it for the control of other front ends such as pH, temperature, pressure etc. A range of useful accessories completes the system.